Putting together the right team to tackle the upgrade, and understanding the issues that the team needs to consider to be successful, can be quite a challenge. 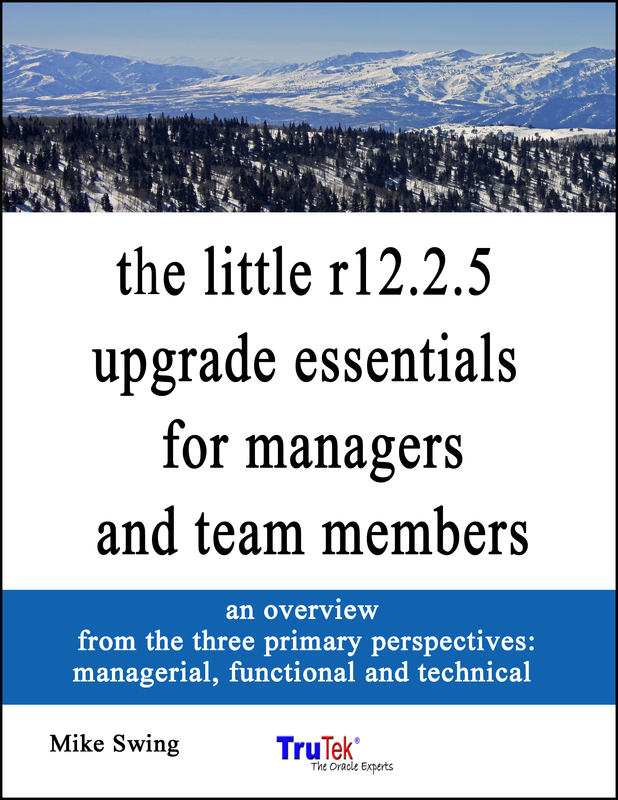 _the little r12.2.5 upgrade essentials for managers and team members_ describes the big picture of what you need to consider before tackling the Release 12.2.5 E-Business Suite upgrade. Based on TruTek’s popular R12.1 to R12.2 Technical Upgrade classes, this book describes what managers, functional, and technical team members need to know to prepare to upgrade from Release 12.1 to Release 12.2 of Oracle’s E-Business Suite of Applications. 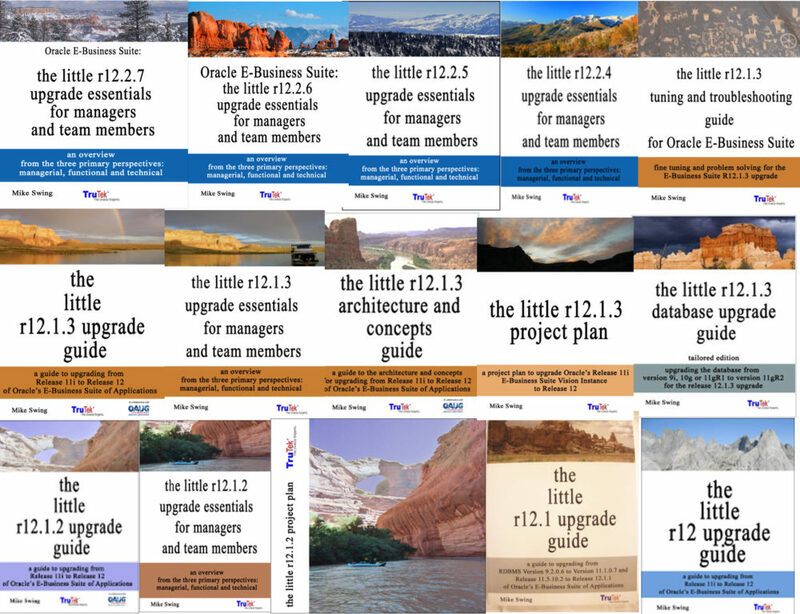 This entry was posted in E Business Suite, R12.2 Upgrade, Release 12.2 and tagged E-Business Suite, EBS R12.2.5, Oracle, Release 12.2.5, the little r12.2.5 upgrade essentials by Managed WordPress Migration User. Bookmark the permalink.